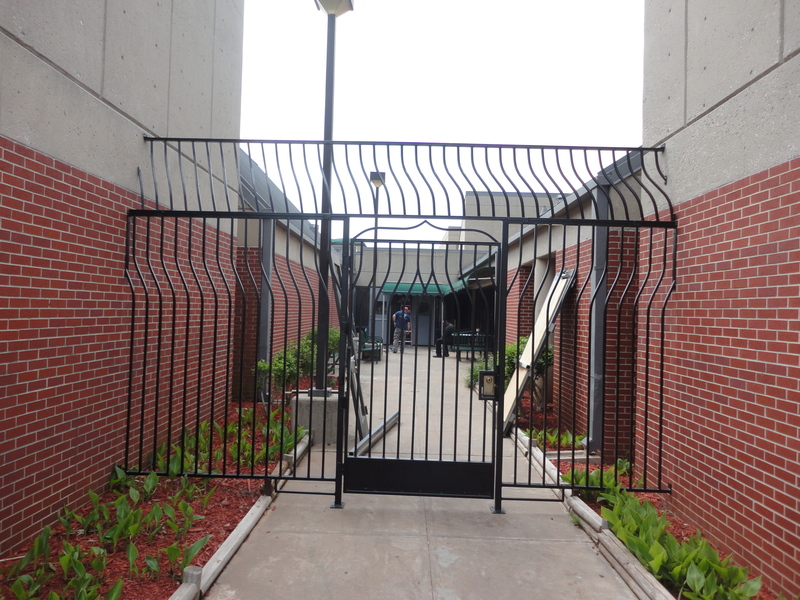 This project which our team of highly skilled fence contractors & iron fence/ironwork experts completed was at the Child Recovery Center for the State of Oklahoma. 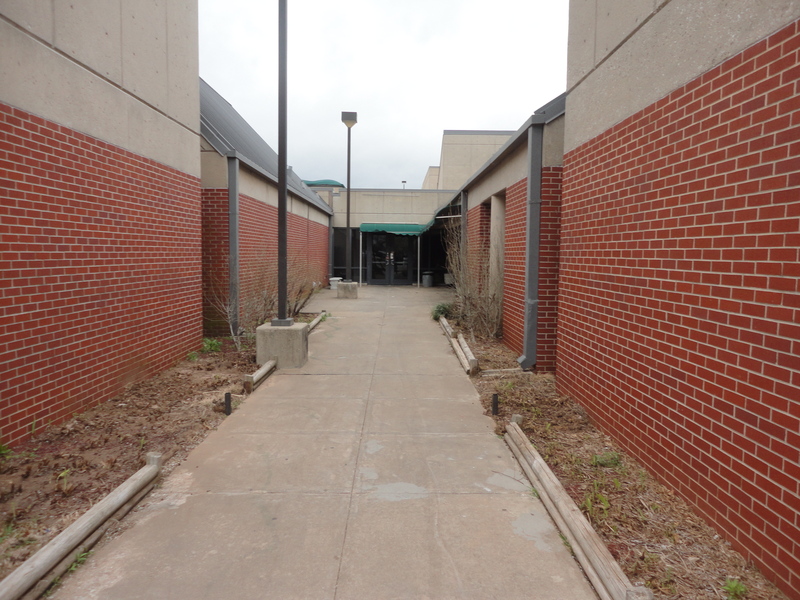 The customer came to us needing a safety perimeter for an area of their campus. The staff at the center requested that this section (pictured) act as a security barrier, be able to handle a high volume of traffic with a lock box and that it be aesthetically pleasing to the eye. In short, they did not want it to look institutionalized. So, this is what we came up with: safety, security, and beauty all in one. We designed and made the sections in our shop and were able to do the main installation in one day. Helping people resolve challenging issues, large and small, is one of the best things we get to do here at A/M Fence & Construction. Designing, fabricating and installing custom ironwork can take time and often patience. Listening to the wishes of the customer and bringing their ideas to fruition is always a satisfying experience. So, whether it’s safety, security, privacy or even a beautification project to enhance the exterior or interior of your home or business we can help you design, produce and install exactly what you desire. 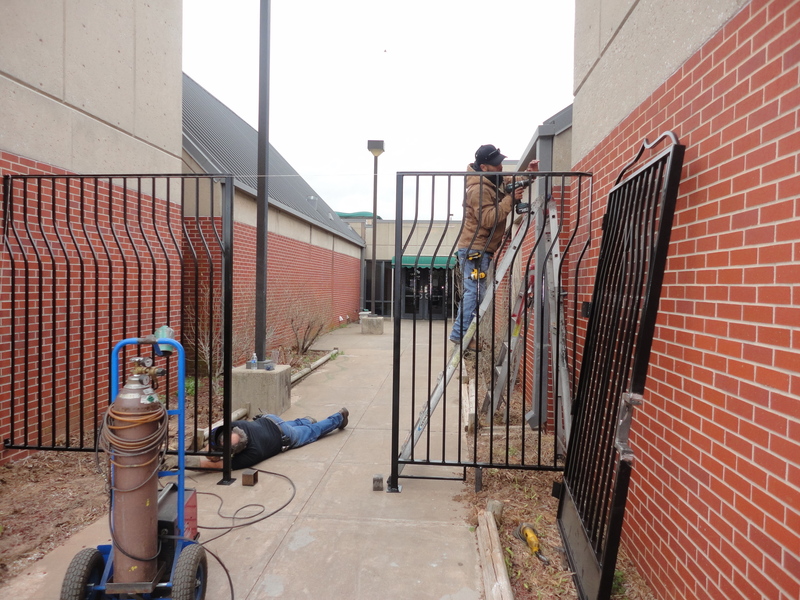 Our team of fence contractors based in Oklahoma City are looking forward to meeting your custom ironwork & iron fence construction needs in the near future! Our team also services surrounding areas of OKC such as Moore, Norman, Edmond & Surrounding areas. Give us a call at (405) 476-5391 to discuss your next project with us! We can’t wait to get started on your project in the near future! Thanks in advance for considering us to be your preferred fence contractor.